Disclosure: Product was received for review purposes only. Any opinions are my own. The 828 Movement is a non-profit organization where 100% of the product proceeds go directly towards supporting education in underfunded schools across the USA. The organization started when two friends came together in May 2017 hoping to make a small impact. It expanded from there to honor the President, Margot Sandy’s recently passed Grandmother who was a humanitarian, college graduate, teacher, community leader and advocate for change. Margot who is an Amazon #1 bestselling author, Product Development Engineer with 10+ years experience and has been traveling the world while running an entrepreneurial enterprise hopes to raise awareness on some of the persistent unequal issues in our school systems, provides examples of career paths for students and recognize the efforts of our teachers. "We plan to continue to spread positive images of people past and present that are doing great things in the community (through our social media accounts), offer a way for everyone to participate in the fight for education equality by introducing stylish new jewelry items to proudly wear and hopefully make a difference with the school donations and upcoming college scholarships from the proceeds of our USA made products." 100% of net profits go to schools & teachers. The 828 bracelet is a silicone band with an adjustable clasp for one size fits most. It includes 15 metal rings with chrome, rose gold or green gold finishing. Each ring and color choice has a meaning to honor the past efforts for equality, support the present pursuits for justice and stay hopeful for the future. The Future: a single ring for hope. Purchase the 828 Movement Bracelet on amazon. 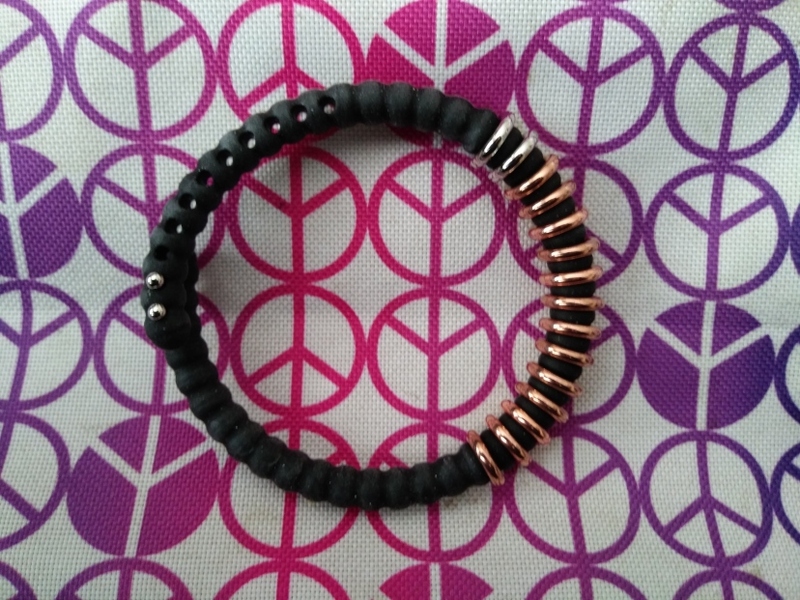 Enter to win an 828 Movement Bracelet (ARV: $28.00) below. Ends May 7, 2019 (London time). Open to US residents only, Age 16+. Good luck.